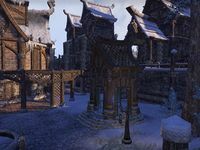 Windhelm is a city in northern Eastmarch. Its port is frequented by ships from all over Tamriel. Windhelm Objective: Keep the Nord celebration safe and sound. 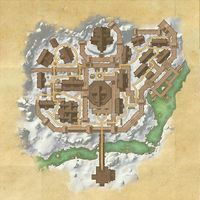 Windhelm Wayshrine is located in the center of the city. 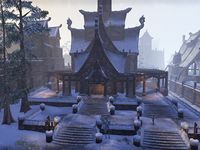 Windhelm also appeared in Arena and Skyrim.